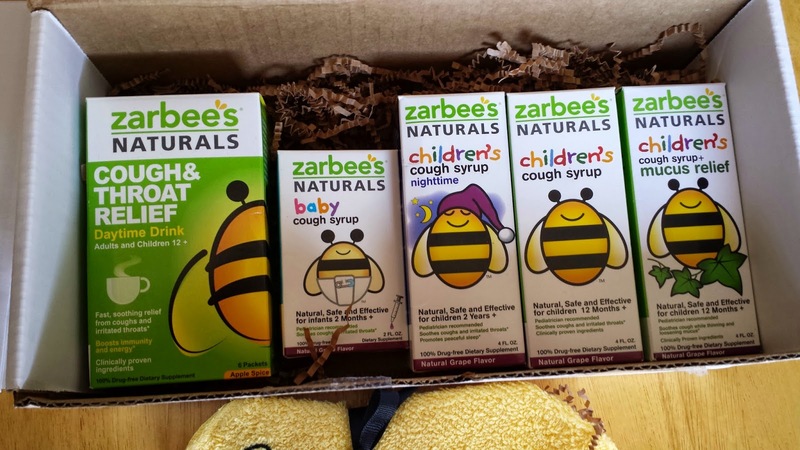 Take the Sting out of Cold and Allergy Season with Zarbee's Naturals! *Disclosure: I was sent the product(s) featured in this post in exchange for this review. The opinions are 100% my own. It's that time of year again when the weather can't decide if it wants to be warm or cold and allergies are in full force! This year, it's rumored that cold season is sticking around longer than expected and allergy season is the worst ever. One of my least favorite things about colds and allergies is the cough that comes with them! As you know, the cough is annoying. What is even more annoying is the fact that it's so difficult to find a cough medicine for our little babies and kids that's safe and effective. Founded in 2008 by pediatrician Dr. Zak Zarbock, Zarbee’s Naturals manufactures the nation’s #1 natural cough remedy and a complete line of “family-safe” health and wellness products that are free from drugs, alcohol, gluten and dyes. Recommended by more than 40,000 pediatricians nationwide, Zarbee’s remedies are formulated with a special blend of natural actives and fortified with immune-boosting vitamins. Zarbee’s continues to innovate with doctor-formulated and recommended products for the entire family, including remedies for cough and sore throats, occasional sleeplessness and congestion due to seasonal pollen. Zarbee’s products are available at these and other retailers nationwide: CVS, Harris Teeter, HEB, Kroger, Meijer, Rite Aid, ShopRite, Target, Walgreens and Walmart. 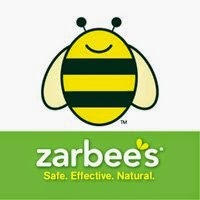 For more information, visit www.Zarbees.com. When we received these it was late winter and colds had just hit our home. I was excited to try the cough syrup out on Savy Preschooler as he gets the worst coughs at night! One of my big problems with giving him medicine is that he won't take it. It's always such a chore to try and get him to take anything and usually I have to mix in some juice to get him to even try it. With Zarbee's, this wasn't an issue! The cough syrup has a nice grape flavor without all the nasty food dyes and preservatives. He really loved taking it and it worked really well. The main ingredient is a blend of dark honeys and this is what helps tame the cough so Savy Preschooler can sleep through the night. One of the other products we received was the Baby Cough Syrup. I'm not sure if I've ever seen a cough syrup that was safe for babies over 2 months old. I haven't had a need to use it on Savy Baby, but as soon as I do, I will be sure to let you know how it works! Since babies under 1 year old shouldn't have honey, it uses agave nectar as a natural cough suppressant. Overall, we really love these products! They help us get through tough colds and allergies without needing traditional medicines that can cause a host of side effects such as drowsiness. I highly recommend you check them out! Learn More: You can learn more about Zarbee's and their entire product line on their website. My oldest daughter has the worst allergies. I have never tried any of this for allergies before. I think I will be going out to find some of these. I'm sorry she suffers from allergies! They actually have an allergy version as well! My two year old has never had a cold with a cough, only the sneezes and sniffles. I had a sample sitting around the house though and my husband got sick and out of desperation he took it. He said it really worked and tasted good!!! I definitely will be buying more if my daughter gets sick. That's great to hear! I love when we don't have to resort to traditional medicines! I love more natural remedies for common ailments instead of jumping right to pharmaceutical medicine. It's only necessary some of the time. I agree 100%! Thanks for commenting! I love Zarbees and the fact that their products are natural and do not use any harmful additives or chemicals. I feel safe giving them to my kids. Novica Online Artisan Market Review & #Giveaway! PBS Kids Arthur Makes a Move DVD Review! Green Tones Toy Musical Instrument #Giveaway!